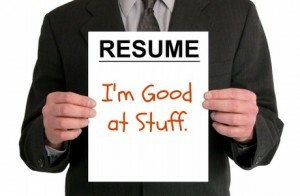 Is your resume sub par? How do you know? Are you making the right first impression? A professionally written resume is vitally important to your job search. It is critical that you make a great first impression in order to stand out from other applicants. As my gift to you, you’ll be automatically subscribed to my free monthly e-newsletter, Create Your Career Path, full of tips and tools for finding a career you love. You may unsubscribe at any time.